warranted with the backing of the NIC/EIC. All installations are fully tested, certified and warranted with the backing of the NIC/EIC. Minor works to full house rewires, working from plans or consulting for a bespoke installation. We offer a 'Make good plan' in essence we complete the works, fill, plaster and paint. This has been well received from our clients. Trading at Marksman Security LTD since 2007 the business has evolved into a multi faceted one. We pride ourselves on one complete service of the good old fashioned variety. We are flexible, ethical and sensitive in our approach to projects of any nature. All our projects big or small are managed for minimum inconvenience to you ,your family or business with full open communication during the works. Just a selection of services we provide. To see more please visit the services page. Thank you for visiting our website. Our Electrician is highly qualified. Providing security to any location. 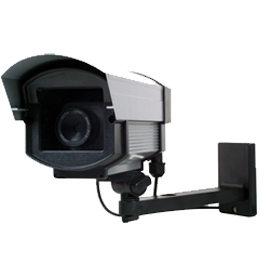 Top of the range CCTV systems. Fire alarms for any place or business. Having been trading as Marksman Security Ltd since 2007 the business has evolved into a multi faceted one. During this evolution I had the privilege of working with some German tradesmen at a well known brand of supermarket. I found their approach to any task refreshing, no grey areas. We have embraced this work ethic as our mantra. We are listed on checkatrade which you can find here Checkatrade We have an average rating of 9.8 out of 10 and have over 35 testimonials. We are a well supported team and if we can help you we will.